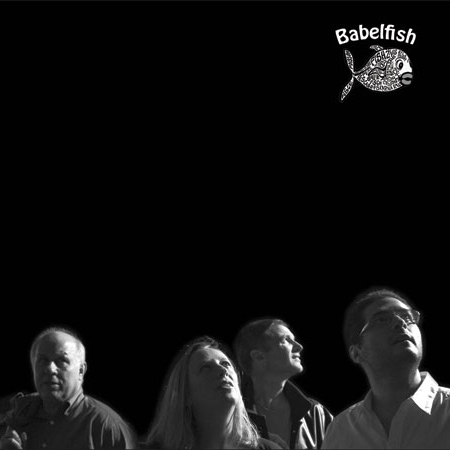 Possessed of Norma Winstone-like subtlety and precision, the Italian singer-songwriter Brigitte Beraha could hardly be in better company than with Babelfish – the A-list instrumental team of pianist Barry Green, bassist Chris Laurence and drummer Paul Clarvis. It’s a joint venture between Beraha and Green, who share an enthusiasm for unusual sources: the poetry of EE Cummings, the prose of Raymond Carver and Benjamin Britten’s arrangement of The Stream in the Valley sit alongside Jobim and a collection of affecting originals. Beraha excels at complex melodies at low volumes on Catch Me the Moon, an ingenious theme that eases into swing. On The Stream in the Valley, Green strays in and out of the harmony while Laurence winds around him releasing soft harmonics; Kirk Bats sounds eerily like a Joe Zawinul tune played acoustically. In contrast, the Carver text Popular Mechanics is spoken with increasing urgency by Beraha before she moves into yelpy, abstract sounds. Clarvis, one of the great European drummers, adds to the feeling of this session being a four-way conversation between very original voices.